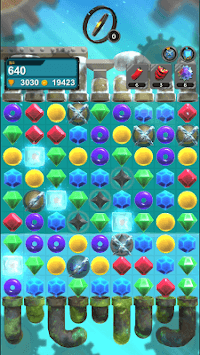 Infinite Puzzle 2 is a scenario in which collected gemstones are processed to games in the factory. Try to get as much gems as you can. The obtained games are rewarded with coins. 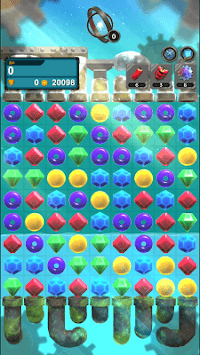 * A traditional three-match game that collects and removes same gems more than three. * When gathering more than four. you will see amazing effects. * This game has two types of mode, normal mode and obstacle mode. 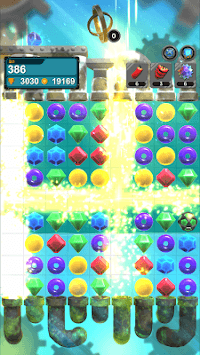 * Unlike other three-match games, Infinite Puzzle 2 does not have a fixed map. * Game continues until there are no more gems to mix. * If there are no more gems to mix, the game is over. * However, by using those coins you earned, you can continue the game to challenge your best record. * Collect coins as much as you can for trying to reach the high score. * There is also an obstacle mode, so you can get items by removing all obstacles. * Relieve your stress with the obstacle mode !!! Let's try the best record together.